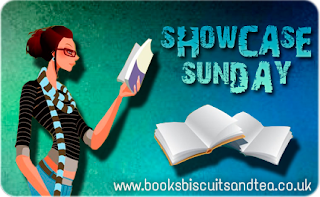 Showcase Sunday is a weekly meme hosted by Vicky at Books, Biscuits and Tea. The aim is to showcase our newest books or book related swag and to see what everyone else received for review, borrowed from libraries, bought in bookshops and downloaded onto eReaders this week. Thank you to Berkley Penguin Group! 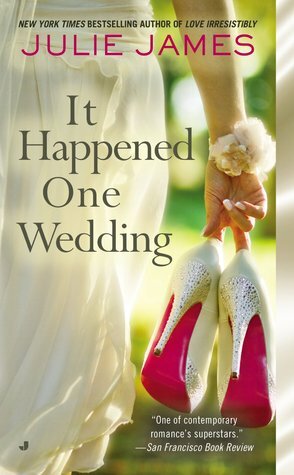 I love Julie James classy, sassy romances so I was thrilled to get a copy of It Happened One Wedding. I just finished Love Irresistibly and loved it. Feed was thrilling! Thanks to our lovely readers for picking it in my poll. I was riveted by the story, so I bought the audio of Deadline (book #2) and sadly I’m not enjoying it as much. 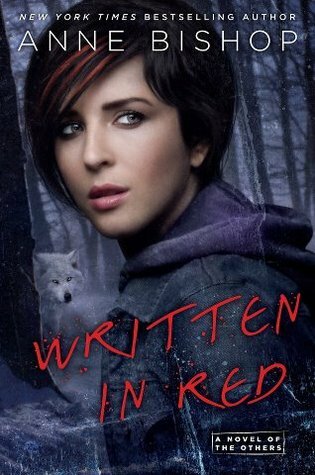 I’ve seen so much praise for Written in Red and the story sounds amazing so I finally bought a copy. 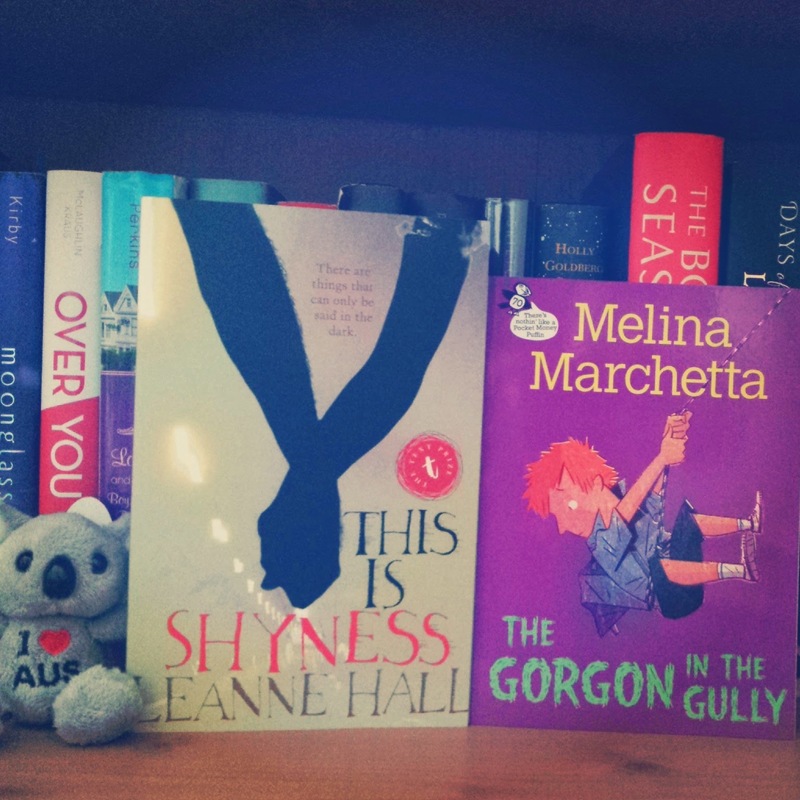 I had been meaning to buy some Aussie books in a while, so finally decided to order these two pretties. I have heard the best things about Leanne Hall, so can't wait to get stuck in and Melina Marchetta needs no introduction. 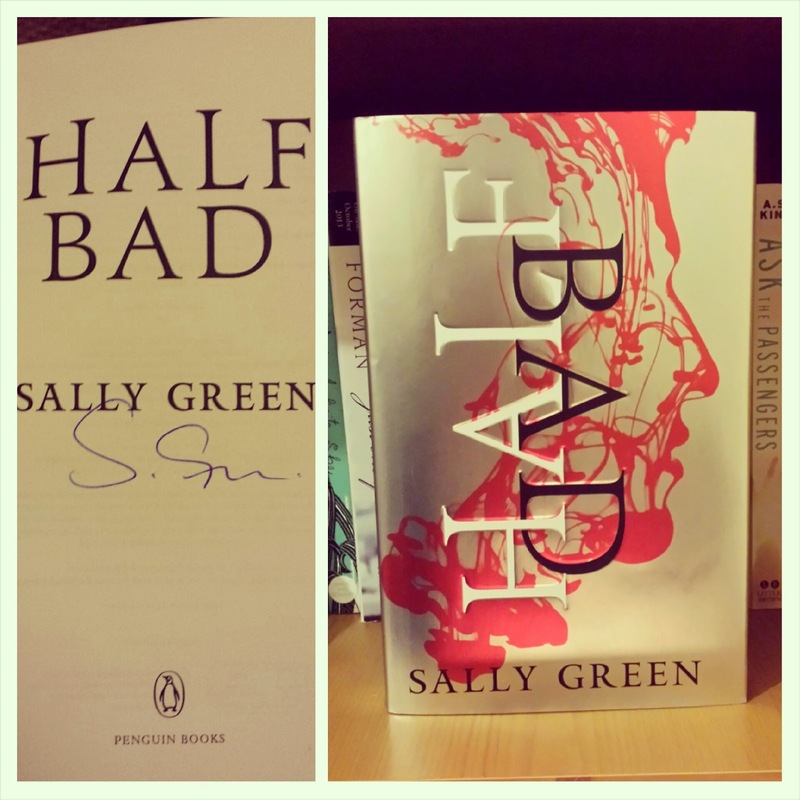 A big thank you to Sam from Realm of Fiction for my signed copy of Half Bad! Isn't the cover gorgeous? We love seeing book hauls, so feel free to leave a link to yours in the comments below and we'll be over to check them shortly. Oh yay! I hope you'll enjoy Written in Red, Rachel. And I'm a huge fan of Julie James as well. Is that a new series of hers? Gorgon in the Gully is so worth the read, Jasprit. Just the mere mention of Jonah's name makes me all tingly. Lol. I really want to read Written in Red. I've heard great things too!! Ooo, a signed copy of Half Bad! 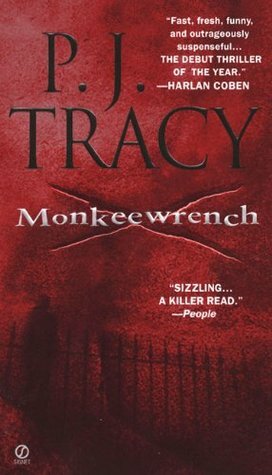 I have an ARC, but I haven't read it yet. I've seen so many positive reviews for that one! So I hope to get to it sometime (maybe in the summer). I hope you love all of your new books, ladies! Jasprit - The Gorgon in the Gully looks like a fun-read. Thanks for sharing. Enjoy a lovely week, ladies! Rachel: I've heard great things from Written in Red as well. Enjoy! Jasprit: SIGNED COPY OF HALF BAD! VERY JELL. I'm so jealous of your copy of Half Bad, Jasprit - it's gorgeous! 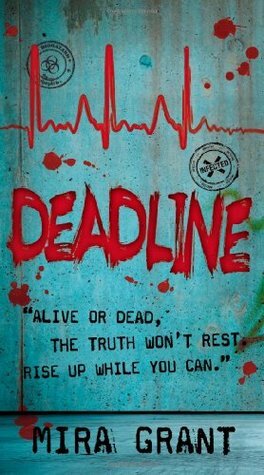 The cover of Deadline has me intrigued. I'm going to go check it out now. Happy reading, both of you! This is Shyness looks good, hope you enjoy! Half bad was an enjoyable book, but it was a good amount of plot building for the next book. I hope you enjoy it. Happy reading! Ohh, lots of awesome :D The Gorgon in the Gully! I loved that short little book. JONAH. A little bit of Jonah. So much love, hih. <3 Hope you enjoy everything :) Happy reading. Jasprit, Half-Bad was fantastic and This is Shyness is SO GOOD. It's weird, granted, but I really enjoyed it. Am looking forward to comparing thoughts on that one soon, dear! Nice haul this week! I can't wait to see what you think of them! :) Happy Reading! What a gorgeous batch of books! I can't be too sure, but I think I accepted It Happened One Wedding for review. I really wish I had bought Love Irresistibly when it was on sale. I hope you both enjoy your books! I read the first book in the FBI/US Attorney series and had so much FUN but still haven't picked up any of the sequels yet .-. YAY for This is Shyness!! 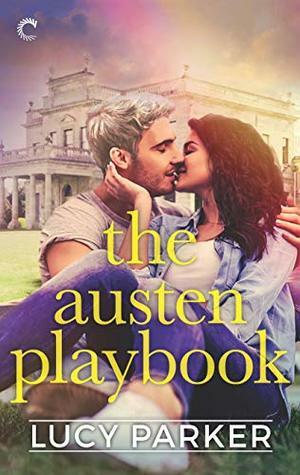 :D I've had that one on my TBR list for a while and since I do love Aussie I really want to read it but haven't found the time or when I do, haven't been in the 'mood'. I really do hope you enjoy it! also double yay for the Marchetta book. Marchetta is the best. The Gorgon in the Gully is middle grade though right?? Julie James's stories are always a good time! And Love Irresistibly is now in the final four at DWABA (or whatever that thing's called. I'm sorry my brain is foggy due to allergies & allergy meds!). And I hope you enjoy Written in Red! I'm a HUGE fan of anything by Melina Marchetta. She writes some of the most amazing stories! Great books, girlies! Oh you have got some amazing books girls. I love seeing Half-Blood there :) And cannot wait to see what you think of it Jasprit. Also yaya for Melina :) Rachel I need to get on with that Anne Bisho's series as everyone seem to love it. Oh a signed copy of Half Bad. Amazing! Great book! Look at all that Aussie goodness. And oh my gosh that little koala bear is too freaking cute. And Jasprit! Can't wait to hear your thoughts on Half-Bad :) I have a copy as well...hoping it's good! I still haven't got round to finishing the Newsflesh series, I loved Feed and I got to the end of Deadline wanting to know what happens next so I don't know why I haven''t! Hope you enjoy Written in Red, it suppose to be very good.